If you’re looking for assisted living for an older adult with dementia, Alzheimer’s, or other cognitive impairments, a memory care community is a good option. They’re places where seniors with dementia can get specialized care. We explain how memory care is different from assisted living, how much it costs, and share a checklist you can use to evaluate a memory care community. What makes memory care different from assisted living? Memory care communities are typically in dedicated floors or wings. They’re separate from the regular assisted living areas because the environment is secured against wandering and designed to be calming and easy to navigate. In memory care, the staff are trained to work with older adults with cognitive impairments. There is 24 hour supervision and a higher staff to patient ratio for a greater level of care. Memory care residents get help with important daily tasks, like taking medication, bathing, dressing, and eating. There are also structured activities, exercise, and therapy programs. Because of the specialized care and larger staff, memory care usually costs more than other senior living options. 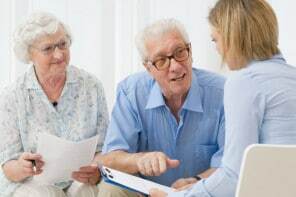 According to SeniorHomes.com, the cost of memory care for a single resident could range from $3,000 to $5,800 per month. Of course, costs will still depend on factors like: level of care needed, type of room, and community location. 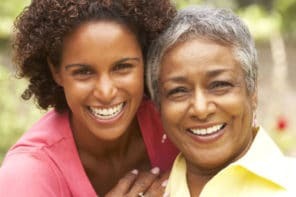 Finding a good memory care community for your older adult can be overwhelming. At first glance, every community might seem the same and blur together. That’s why it’s helpful to have a way to compare them. This handy checklist of useful questions helps you evaluate Alzheimer’s and dementia care communities. The questions help you differentiate one place from another and find the best fit for your older adult.